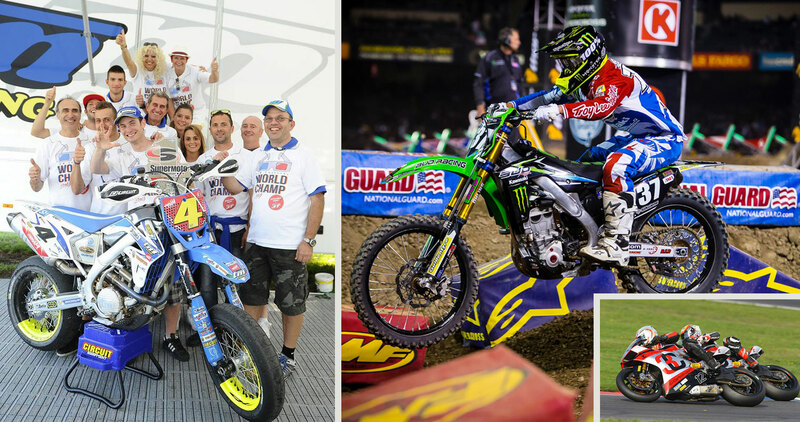 This time of the year is always a bit special as we look back and are amazed at how many motorsport titles have been won by our customers on both two and four wheels, in International as well as National championships around the world. We simply just don’t have enough room to write about all of them but many are referenced in our car and bike motorsport round up. Obvious highlights are of course clean sweeps in MotoGP, Moto2 and Moto3 as well as World Superbike and World Supersport. Many national titles and successes in Isle of Man must of course be mentioned. 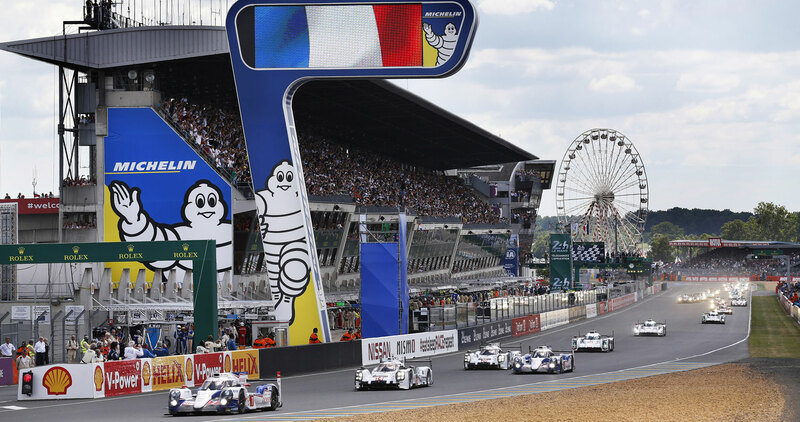 On four wheels we had our 15th straight overall win in the Le Mans 24 HR, thanks to the Audi squad while Toyota wrapped up the Championship crowns in WEC, whilst Citroën dominated WTCC, with our other customers also winning races. 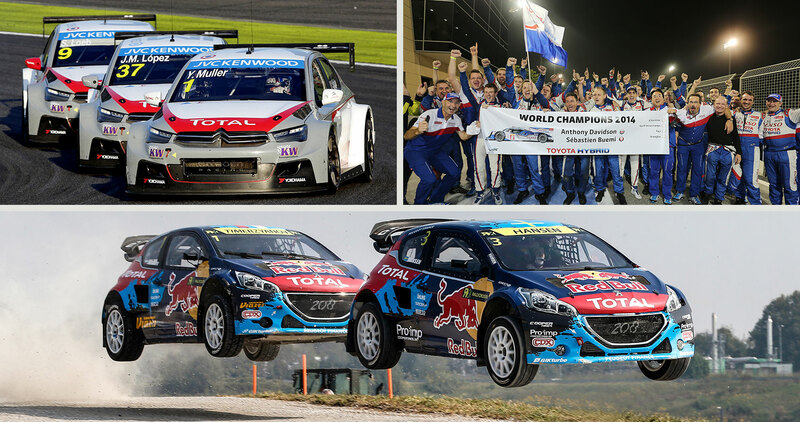 We also saw National and European success in the world of Rallying and in the World Rallycross Championship our teams had another successful year. We have quite a few other stories in this issue we hope you find interesting… the story of the unique Ariel car and bike programme, the World’s fastest electric bike, Renault’s attack on the ‘Ring with their production Megane, the rough and ready world of quad desert racing and finally an insight into our Road and Track range. In our last issue we had a competition where two lucky subscribers received an Öhlins watch, congratulations to Jon Bokrantz of Sweden and Richard Watson of Ireland. Following this issue we will ask you to complete a survey we are carrying out. In our quest to improve we would like to have your feedback on our products and Öhlins as a brand through an e-mail survey. We hope you will take the time to answer this and as a thank you for your effort we will offer the chance to win one iPad Mini for one lucky respondent. Enjoy this issue and we want to wish all of you a Merry Christmas and a Happy New Year! The 20,830 meter long track is essentially a public road, and as such is open to the public as well as being used for racing with many motorsport enthusiasts make the pilgrimage, testing themselves against the clock, or simply to sample the most legendary of all circuits. It is also where car manufacturers test their latest machinery to the limit and beyond. A very intriguing unofficial competition is the race against the clock in road-based machinery. This challenge has spread throughout the ranks of manufacturers, the prize – legendary status for the car, the driver, and rights to possibly the ultimate marketing status, the claim to be the fastest over one lap of The Green Hell. Over the years, Porsches, Ferraris, and other exotica have competed for the outright fastest lap. However, not to be outdone, more recent times have seen the latest breed of hot hatches take to the track in the search for the ultimate honors. It is perhaps best to replace the ‘hot’ in hot hatch with ‘super’ such is the vast performance being delivered by the latest incarnation of these cars. Incredible power, lightweight and with technologically advanced chassis, ‘super’ hatches have delivered some incredible lap times. Current front wheel drive record holder is the awesome RenaultSport Megane R.S Trophy-R with a barely believable 7min 54second lap. Renault Sport is no stranger to Nordschleife having, in 2008, achieved a record breaking lap with the previous incarnation Megane, the R.26R. The time then was an impressive benchmark for a front wheel drive car of 8 min 17 seconds. 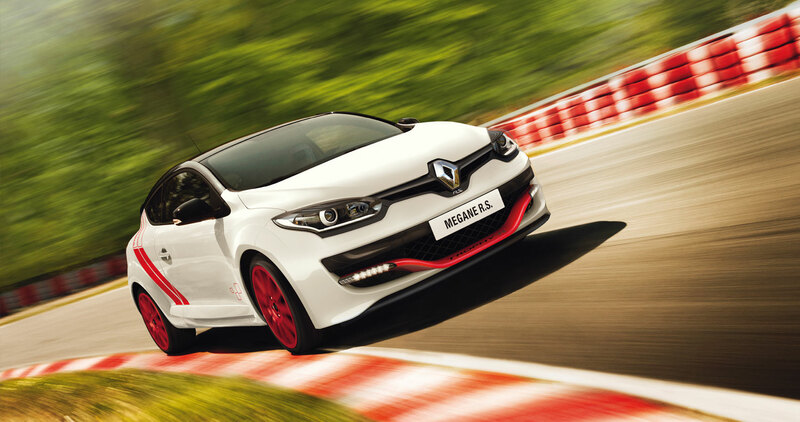 Renault Sport’s has channeled everything it knows into its latest incarnation, the Megane R.S 275 Trophy. The numerals in the title indicating just how much power the delivers. Power can corrupt and Megane delivers a significant amount of torque and horsepower through the front wheels, an amount that requires a high competent chassis to deliver traction. Alongside an impressive spec sheet it comes as no surprise that Renault Sport has looked to Öhlins for its shock absorbers. The car is no track only racer nor is it likely to be kept in an air-conditioned private garage as a museum piece. No, the Megane R.S is an everyday road car that just happens to be able to boast capabilities that would shame many a supercar around a track. The ‘numbers’ for the Trophy-R line up as so; 275bhp at 5,500 rpm, 360Nm of torque, a 255kph top speed and 0-100kph in 5.8 seconds. However what is possibly just as impressive is that this Euro 5 Emission meeting petrol powered machine offers the latest ‘Start-Stop’ technology and impressive 45mpg fuel consumption. However we doubt that was achieved on this particular run-around the Ring! The car distributes its 1297kg in a 66-34% weight bias front to rear with nineteen inch wheels running 235/35 tyres. The reason why cars are tested at the Nordschleife is that unlike any other circuit it presents a massive variety of corners and demands which mean only the best chassis are able to provide the control and finesse needed to build a fast time. This is where the Öhlins Road & Track shock absorber plays a vital part. With the Megane delivering 275bhp through its front wheels, getting this power down onto the road early and effectively is vital to getting maximum drive out of the corners. Good damping characteristics can provide the control needed to achieve this. It’s equally important for a car to maintain stability under heavy braking over uneven surfaces, something which is not unusual at the ‘Ring, and something we are all familiar with on the open road. To deliver control under heavy braking and retain the ability to change direction quickly helps carry speed through the corners. On a track as demanding as Nordschleife it’s also vital the driver feels he is always in control, has the grip he needs and can predict what the car and chassis will do.The Megane relies heavily on its chassis and in particular the Öhlins Road & Track shock absorber to deliver its performance. The impressive specification of the Öhlins Road & Track shocks go a long way to explaining why the Megane achieved such an impressive lap time. In more detail – the Öhlins Road & Track shock absorber is a high performing club sports kit with a unique feature, the Dual Flow Valve. The DFV is a high speed valve similar to the blow off valves used in Öhlins motorsport products but with the unique feature that it works on both compression and rebound flows. This valve helps the oil in the shock absorber to flow through the compression and rebound ports in the Dual Flow Valve. Because the DFV opens more quickly and easily over bumps and minor road imperfections in both strokes of the shock absorber this helps maintaining the tire contact with the road and thus increases the grip and traction. How does this track performance relate to the road? The Öhlins Road & Track shock absorber has proven itself on one of the most challenging racetracks in the world, a track that manufacturers use to develop and refine their cars to deal with the most unforgiving roads the UK can deliver. Öhlins Road & Track does not compromise, delivering outstanding performance regardless of the conditions. As Öhlins engineers say ‘The ground gives better traction than air’. 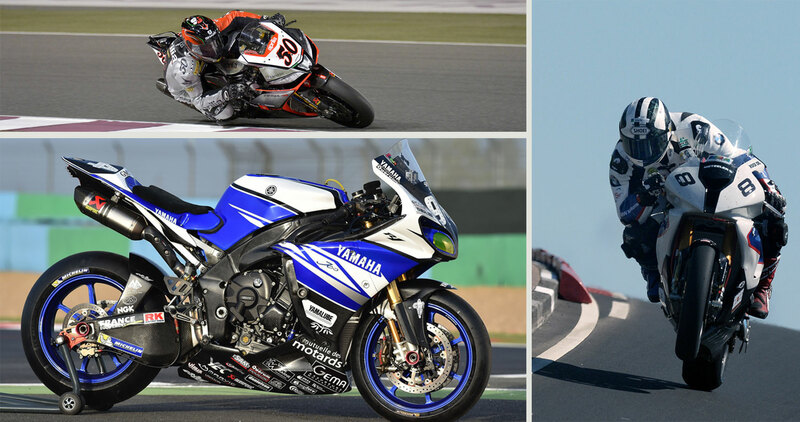 For more information on Öhlins Road&Track suspension, visit – www.roadandtrackbyohlins.com. 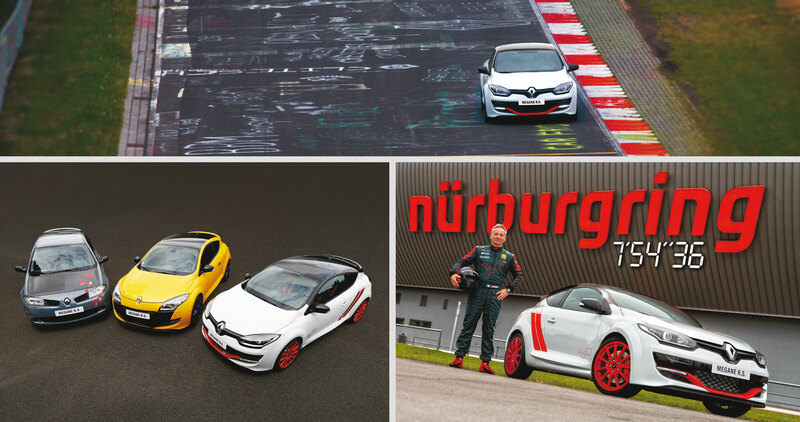 The result was a new lap record for front wheel drive cars around Nordschleife and Renault Sport raised the bar for what is capable to achieve with hot hatch backs. What does this record mean to the team at Renault Sport? The record proves the know-how of Renault Sport Technologies. What is important is that our competitors are still testing their current and future cars at the Nordschleife, so Renault Sport thinks it relevant to keep on fighting on this track and this record shows we have the best car in the front-wheel drive category. How confident were the team in advance of their attack on the Nordschleife? Renault Sport’s ‘wizards’ always push for the best results on each new model and with even more priority with a technical limited edition such as the Trophy-R. We have been ‘King of the Ring’ for six years and even as competitors push harder, we were confident about this time attack because Renault Sport and its partners put in a massive effort on this brand new radical car. Does this sort of exciting activity help future development of high performance road cars (and how)? 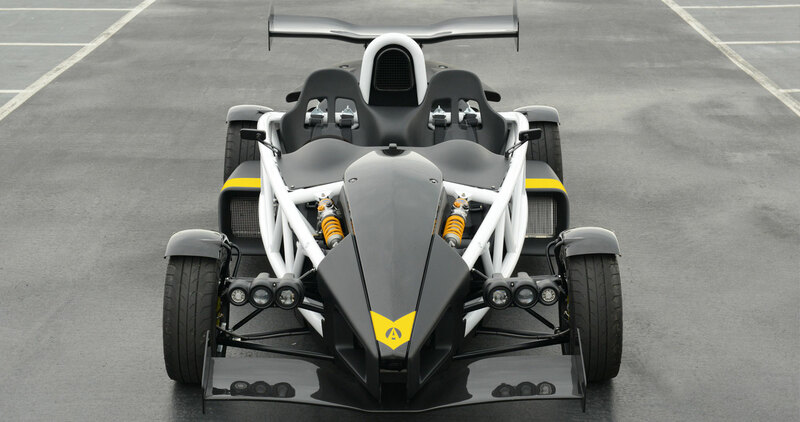 We are used to working on very cutting edge technologies and improving motorsport knowledge (single seater cars for World Series by Renault or rally cars for example). Each technical item from the motorsport department that could be used and adapted to road legal use is utilised in our global product plan. For example Öhlins was a Mégane N4 partner and becomes naturally a road legal car partner on the Trophy & Trophy-R limited editions this year. 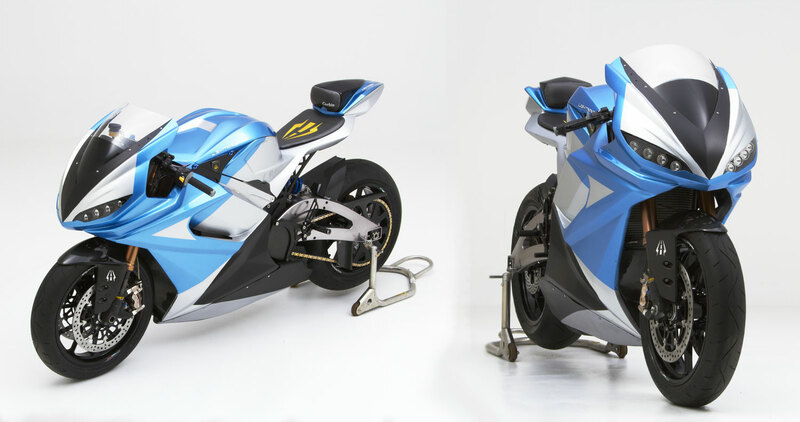 What has been the reaction been from fans of the brand and dealer/distributors? We have a strong Renault Sport Community all-around the world and proud to communicate to our 400 000 fans on Facebook pages. When we started the #under8 communication teaser two months before the time attack reveal, people were very enthusiast and had already guessed that Renault Sport was back at the Ring. From April to June, dealers and distributors were truly submerged by people’s curiosity. All of these would know what car and of course the result! Thanks to this new record, Trophy-R was sold out less than 3 weeks. How did you choose your partners for this project? 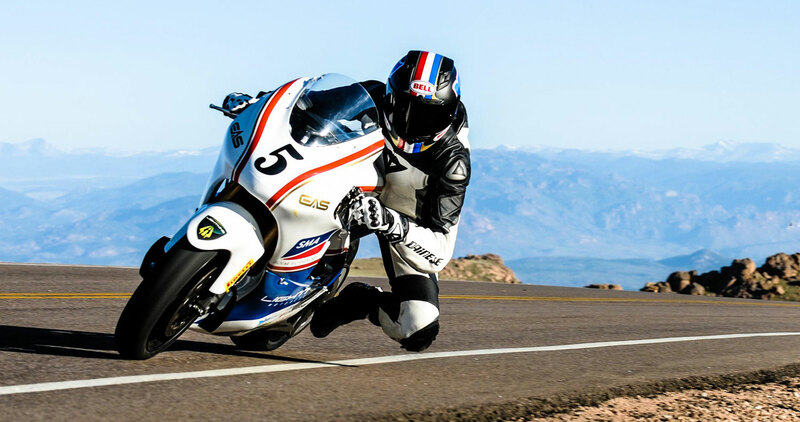 RST wants the best on its project cars. 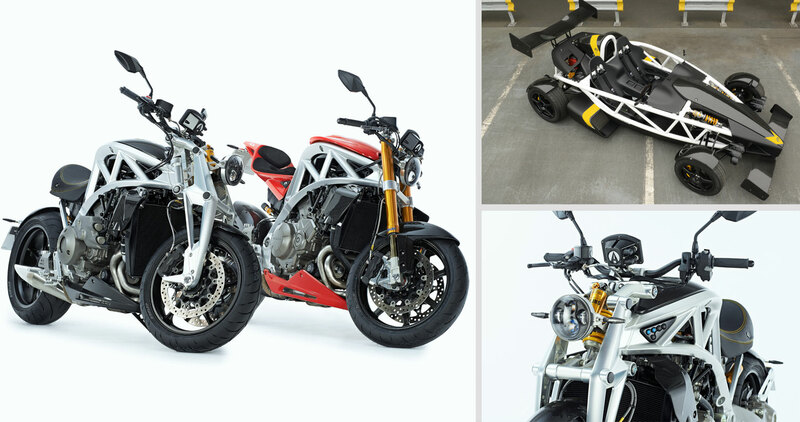 We have true know-how about chassis, performance and driving pleasure but as we always can do it better, we focused on exciting items such as chassis, sound and materials to improve. Öhlins is one of the best worldwide well-known shock absorber suppliers for road and track so that was an obvious decision. How crucial was the chassis / suspension selection to gain the record yet still be able to utilise the RS as a road car? And finally if the record is threatened, will you go back to ‘The Ring’ for another attack? 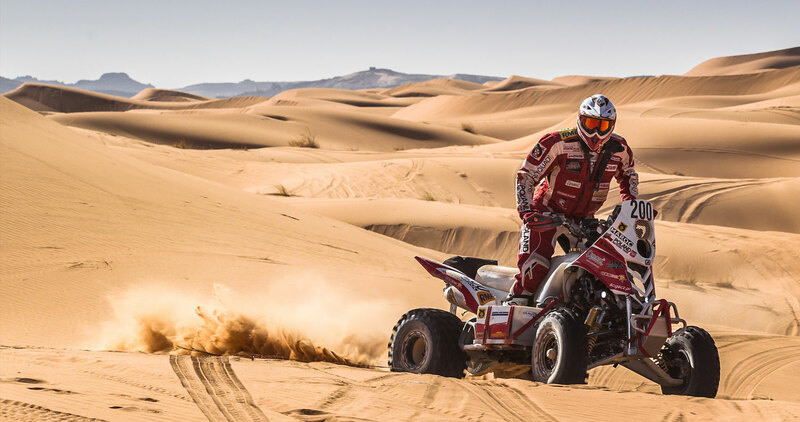 03 – From pole to desert by quad! Sonik’s weapon of choice is the formidable Yamaha Raptor 700, an incredible 700cc, 52bhp machine that features Öhlins TTX30 shocks at the front (built straight from a kit system) while a single Öhlins S46P R1C1 shock sits at the back (there was no room for a twin tube). 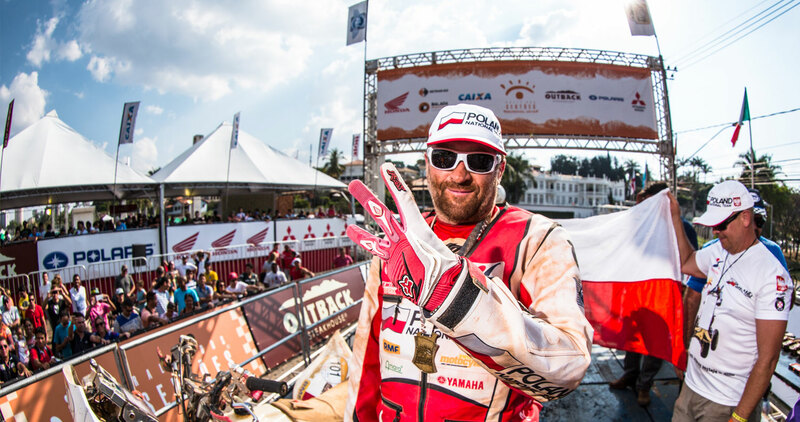 It is no easy feat to win the Dakar, but after finishing up second place in January this year, Rafal has gone on to have one of his most successful years to date. 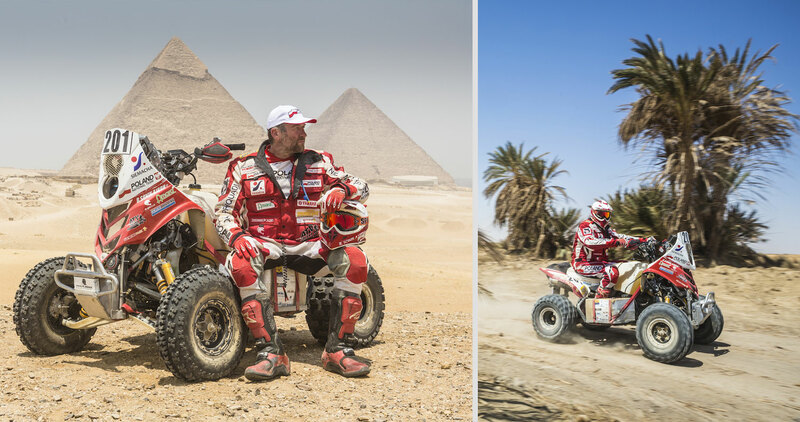 Winning the Abu Dhabi Desert Challenge, the Sardegna Rally and the Pharaohs Rally – as well as his third FIM World Cup. 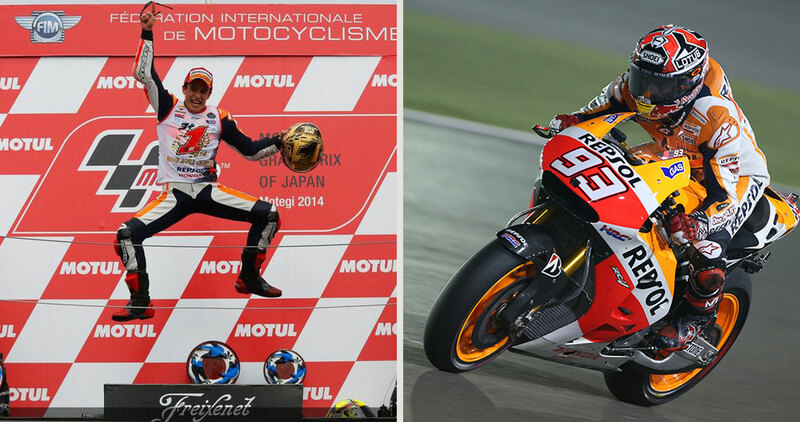 “To win my third FIM World Cup this year was amazing and I am more than happy! This one tasted totally different to the previous two, because now I feel that I can say I am fully comprehensive rider. We’ve proven we can win the rally in the dunes, rocky areas, mountains of Sardegna or Brazil and to be honest, only misfortune has stopped me this year. The set up needed to compete at the very front of the Dakar is like no other Motorsport in the world. Russ explains further, “We spend a lot of our time setting up the Quad for desert racing. They take spare shocks with them, fully serviced because in these events and level obviously you can’t afford DNF’s – luckily we have a very good reliability record! The Yamaha that Rafal uses is a totally different set-up to any other quad – the bike is very heavy, and they run dual fuel cells as well as sat-nav and all the kit. That’s before they then have to ride 100’s of km a day so they also need to carry spare wheels, lights, a tool kit – by the end, the bike weighs almost double its original weight! But what about harnessing that power? Without a chassis to match the engine, all the raw horsepower in the world will be for nothing. If your car’s suspension can’t keep the tires in contact with the road all the time, how can the engine transfer its power to the tarmac? It’s the same story with grippier tires, or more powerful brakes: if you don’t also extend the performance of your suspension system, the improved chassis parts can be overshadowed, canceling out at least part of any performance gains elsewhere. Here at Öhlins, we know all about performance. We’ve been developing suspension for the world’s finest race and sports cars in the world for over 35 years. From the rarified world of Formula One through the glory of Le Mans and sports cars racing, touring cars and single seaters down to the controlled chaos of WRC and Rallycross, we’ve built suspension systems to win in the toughest of conditions. And all the while we’re working hard to transfer the cutting-edge technology we develop there into our road car products. For us, that’s the whole point of competition – improving the breed and forcing us to work harder to make our suspension work better. 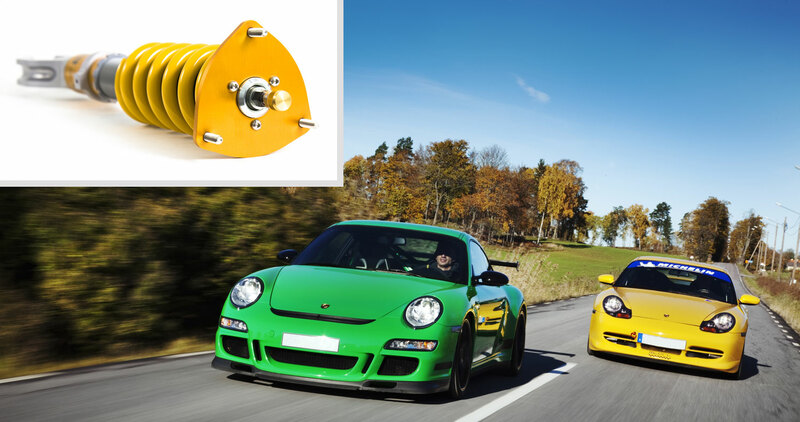 Öhlins’ Road and Track range is aimed at the cars you love, the cars you drive. Cars like the legendary fun-driving VW Golf GTI, through to pure driver’s cars like BMW’s M3, Toyota’s GT86, Mazda’s MX-5, RX-7 and RX-8. The Porsche 911 has a special place in any performance fan’s heart, and we’ve worked hard on our range for the Stuttgart masterpiece. From the 996 Carrera through the Turbo and Turbo S right up to the 997 range: Carrera, Turbo, and the mighty GT2 and GT3 RS. The wild rally replicas aren’t left out either: Subaru’s Impreza and Mitsubishi’s Lancer Evo have several fitting options. We don’t leave you behind once your shocks are installed though. Each Road and Track kit comes with full operating and adjusting instructions, with suggested setups for comfort, fast road and track use. 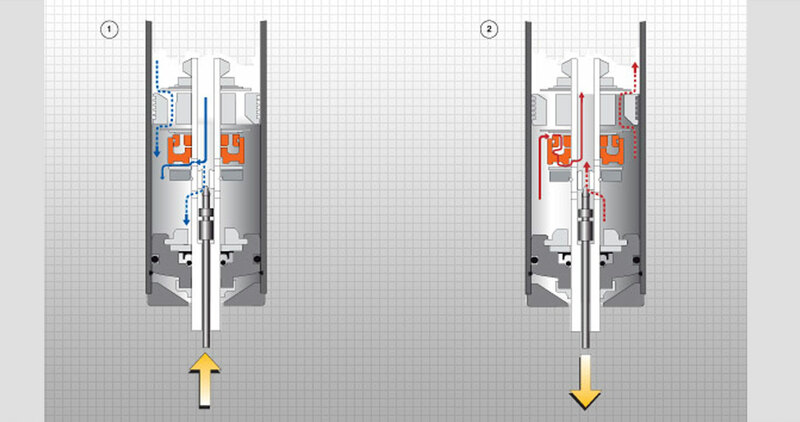 Altering the suspension settings is simplicity itself: a few turns of the supplied adjusting tools can alter rebound & compression damping settings. We’ve made it as simple as possible here, instead of working with multi-adjusters we have used a clever technology to have just one adjuster for both rebound and compression. In combination with the smart DFV technology this makes it a four-way adjustable shock through just one adjuster. Why? 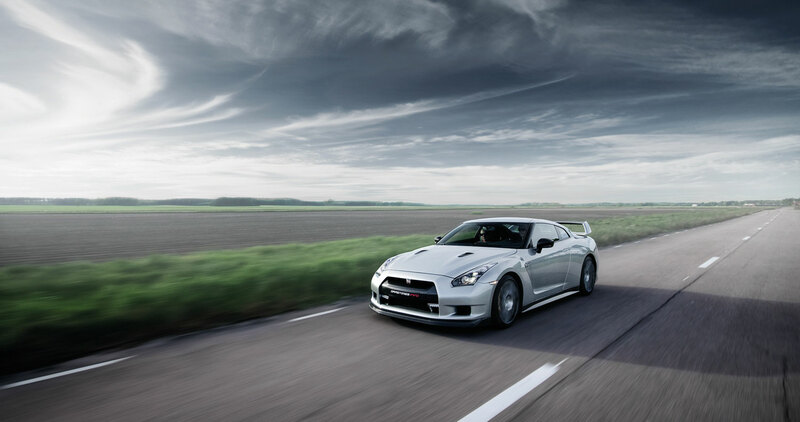 We think you’d rather spend your time on a track day driving, than chasing suspension settings! And it’s easy to go back to the original setting for the drive back home. Click here for more info, full fitment list, installation instructions and user guides. Finally, performance isn’t just about how something works when new. We make out shocks street-tough to last for the long run. Shock bodies are salt-spray tested for durability, damper shafts are micro-finished and honed for low friction and ultimate toughness. Aluminium parts are anodized, and all materials are chosen for their longevity as well as performance. Even if you do manage to wear out an Öhlins shock, all our units are fully serviceable and rebuildable. That way we can ensure you can get the as-new performance you, and your car, needs and deserves. Our DFV damping technology sounds complicated. But it’s really pretty simple. And it has one job – to keep your wheels in contact with the ground as much as possible, no matter what. Unlike other competitor shocks, Öhlins’ DFV technology has not one, not two, but three ways for damping fluid to flow inside the shock. It’s like the doors at a shopping mall. On a normal weekday, there’s a big revolving door that lets a steady stream of people in and out without any holdups. That’s like the DFV shock’s central shaft jet bleed, and it deals mostly with low-speed damping, such as when you accelerate, and the car’s weight is transferred off the front wheels and onto the back. But at the shopping mall, there’s a big rush of people each Saturday, coming in to shop. Then, the revolving door can’t cope so well, and the crowds can’t get through. So the mall staff will open the normal doors either side of the revolving door, to release the pressure from the crowds. That’s what the ports in our DFV shock’s piston do, when there’s a sudden wheel movement, like hitting a bump. The piston ports open, and allow more damping fluid through, letting the wheel move more quickly, but still under control. What happens at our shopping mall during the New Year sales? The crowds are incredible, and neither the revolving door, nor the normal doors either side can cope with the numbers of people trying to flow through and into the shops. So the security team will open the fire exit doors to allow even more people through. That’s like our DFV shock when the wheel hits a very large bump or pothole. Then the extra ports in the DFV unit open, allowing oil another route through the damping circuit. So like the shoppers getting to the bargains, the DFV shock can move very fast, allowing the wheel to return quickly to the ground after a bump, and regain its grip on the asphalt. Simple, isn’t it? 06 – Lightning strikes fastest! Finally it was another strong year in the GT category. 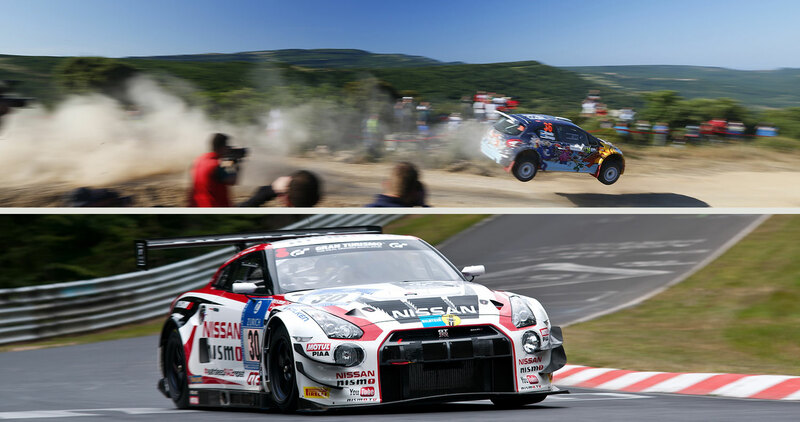 Marc VDS was once again one of the front runners with their BMW Z4 in the classic Nürburgring 24 hours and Nissan Motorsport entered a couple of Nissan GT-R’s for the big German race. Öhlins supplies suspension to a number of GT manufacturers in the large GT3 category and equipped cars from McLaren, Bentley, Nissan and Lamborghini which were successful in various GT championships throughout the year.